Total silence is broken by the low quack of a Barrow’s Goldeneye as she calls her broods. Mountains tower over the wetland in all directions, with dense cedar forests spilling down their sides. Salmon pass through on an awe-inspiring journey to their spawning grounds. British Columbia’s natural beauty is everywhere you look. Paddlers weave their way through the marsh, en route to a favourite hiking trail. Hunters and anglers set out at dawn to harvest dinner. A young camper’s eyes brighten as she catches a minnow at the water’s edge. British Columbians live for the outdoors. Those who never stray from the cities depend on wetlands too. They remove excess nutrients and pollutants from the province’s waterways. They store carbon, which would otherwise add to climate change. They provide a buffer from high tides and storm surges that threaten to swamp our communities. British Columbia’s wetlands provide important breeding and wintering grounds for waterfowl. Estuaries along the coast are stopover areas for migrating ducks. Farmers’ fields in the Lower Mainland provide food for wintering geese. In the Interior and the Peace, new ducklings emerge each spring and prepare for their first migration. Our work conserves this province’s valuable wetlands so ducks, fish and people can use them for future generations. 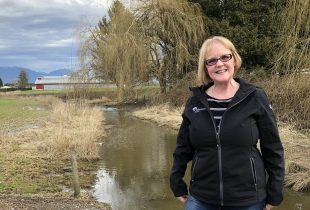 Wetlands in British Columbia are in crisis. In developed areas of the province, 85 per cent of fresh water and 80 per cent of tidal wetlands have been altered or destroyed. All across the province, new homes and businesses are being built to serve a growing population. With so little low-lying land in the region, B.C.’s cities are encroaching on valuable waterfowl habitat. 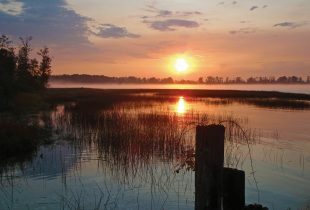 Unless we set aside key wetland areas within our communities, we risk losing them. Rising temperatures are drying up wetlands. Disappearing glaciers threaten their long-term survival. 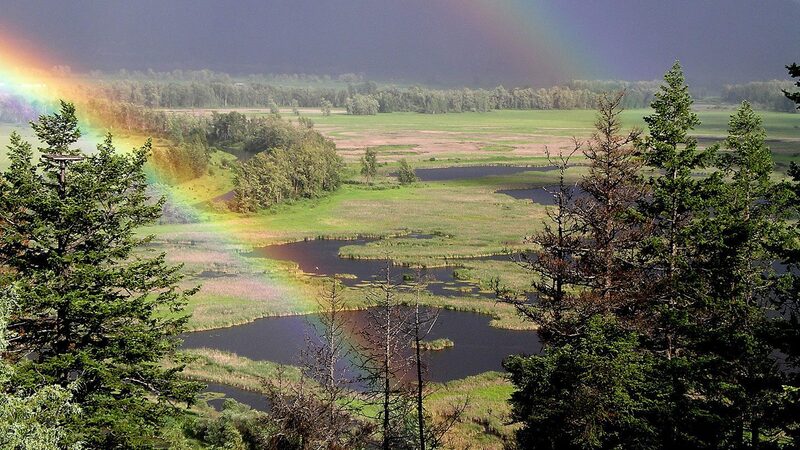 Climate change has arrived in British Columbia, and wetlands need all the help we can give. Conserving them is crucial to maintaining healthy ecosystems. Wintering ducks and geese rely on agricultural forage. But fields that once produced corn and vegetables are being replaced with crops like blueberries, which provide no food value to birds. 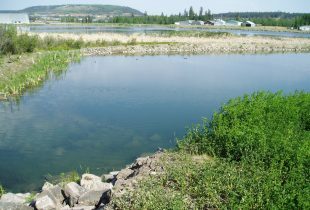 Ducks Unlimited Canada’s projects all over British Columbia provide habitat for ducks and fish, and recreation areas for people. Our time-tested formula is simple, but effective. 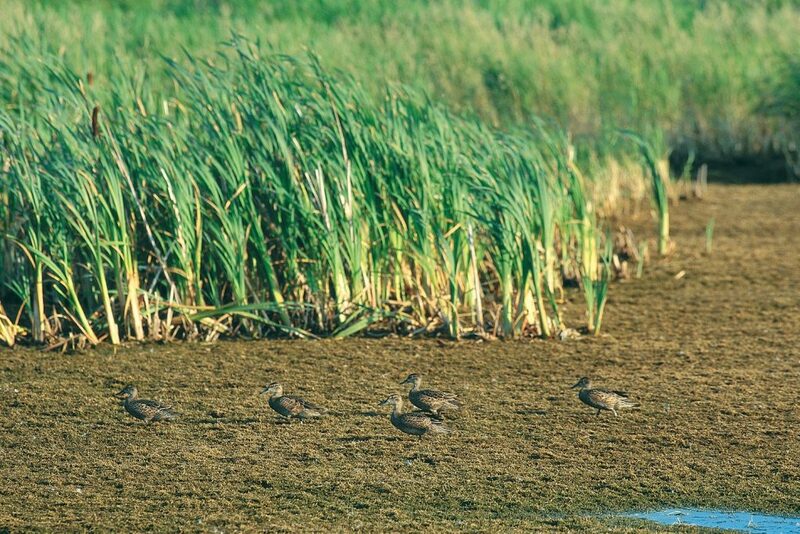 Conserve at-risk wetlands. Restore those that have been drained and damaged, and manage the projects under our care. In British Columbia, our focus is on conservation of habitat. DUC is securing the lands that waterfowl need to survive. We’re working to make nature more accessible to British Columbians. DUC’s education programs provide access to wetlands projects where young and old can explore and enjoy the outdoors. We provide these sites with enhanced trails, boardwalks, docks, washroom facilities and parking. By advising government, we strive to influence policymakers to make more informed decisions and create laws that support conservation. We’re studying waterfowl movements and habitat use, the ecological value of our estuaries and the effects of climate change.